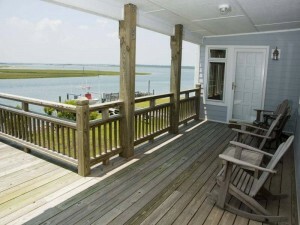 This week we’d like to introduce you to Gull Cottage at The Point, a three-bedroom, three-bathroom duplex located on Bogue Sound. Its perfect location makes for great fishing, kayaking and swimming on the Sound and it’s just a short distance from the beach. 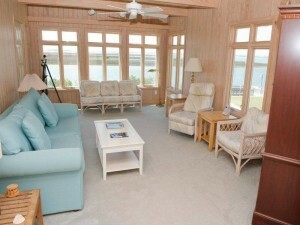 You’ll find that this duplex offers the perfect amount of privacy and peace for your Emerald Isle vacation. Gull Cottage at The Point can accommodate six to eight people, offering two queen-size beds, two single-size beds and a queen-size sleeper sofa. Each of the three bedrooms is spacious, comfortable and relaxing. You’ll love the rest of the duplex as well. Enjoy two living areas, a fully-equipped kitchen, dining area and covered/open decks with porch furniture that face the water. This property is available year-round and rents monthly during the off-season. 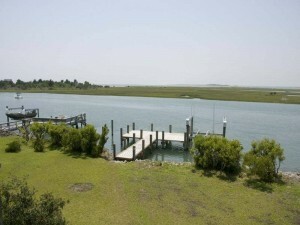 For more information on Gull Cottage at The Point, call Emerald Isle Realty at 855-891-1962. View more photos of the duplex and read customer reviews below.